We offer service packs to suit three levels of service. These are ideal for clients that want to have price certainty and pay monthly. "An investment in knowledge always pays the best interest". 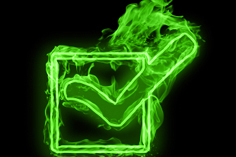 Team Greenfire offers free seminars on a variety of topics during the year. Spaces are limited, so check our website regularly. Click here for upcoming events. "Constantly seek ways to do better whatever needs to be done"
Have you had a Business Health check done? Team Greenfire can perform this and establish the areas of improvement and methods how to achieve your potential. 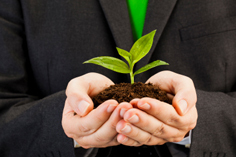 We love working with owners that enjoy their business and strive for growth and excellence. "Every great business is built on friendship". We would like to wish you all a Merry Christmas, and a safe and happy New Year. Greenfire Accounting's offices will be closed for the holiday season from Friday 21st December 2018 and will reopen on Monday 14 January 2019. If you have any urgent queries during this time, please contact either Brett (027 341 2018) or Lizelle (021 464 295). Any messages left on our office phone, will be responded to when we re-open in January. We look forward to working with you in 2019!! As most of you know, we are now located at: 4a Te Kea Place, Albany. 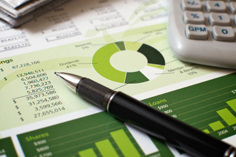 We have been at the forefront of accountancy, providing clients with a broad range of services, coaching, and mentoring. We appreciate that selecting a firm to entrust with your accounting, business development coaching, and mentoring requirements is an important decision, intensified by rapid economic changes, increases in competitive pressures, and resource availability. 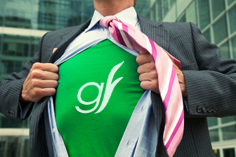 With our cash flow forecasting, payroll and other tools, Greenfire is well placed to provide you with the valuable information you need to make an informed decision. We aim to partner with you and be relied on as a contributing factor to your success. We are highly educated, well-trained chartered accountants, business consultants, and tax specialists who work as part of your management team. Using state-of-the-art technology, we fuse strategy with results to help you grow. Whatever stage your business is at, your Greenfire chartered accountant is here to counsel and assist you through all the major and minor transitions. We ask the right questions because we've been helping our clients with the challenge of change for over 50 years. Click here to make an appointment with a Greenfire adviser. By developing a range of services and specialities and embracing IT, we have evolved to meet your needs in today's rapidly changing business environment in a way few can match. As an innovative, forward-looking organisation, our future plans embody the expansion of our IT services to incorporate online bookkeeping, ecommerce, and continued growth of our specialist activities. Mission Statement: "To provide exceptional service to internal and external clients through teamwork and an enjoyable working environment that generates additional cash profits for everyone."